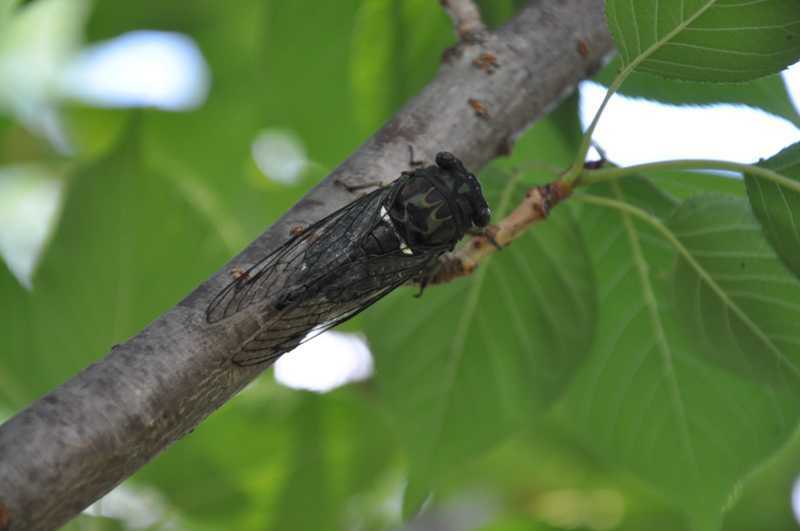 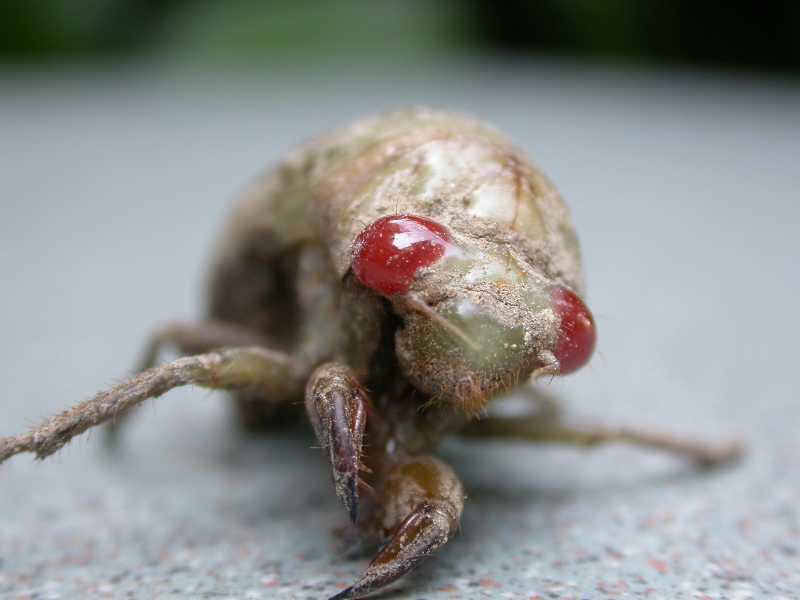 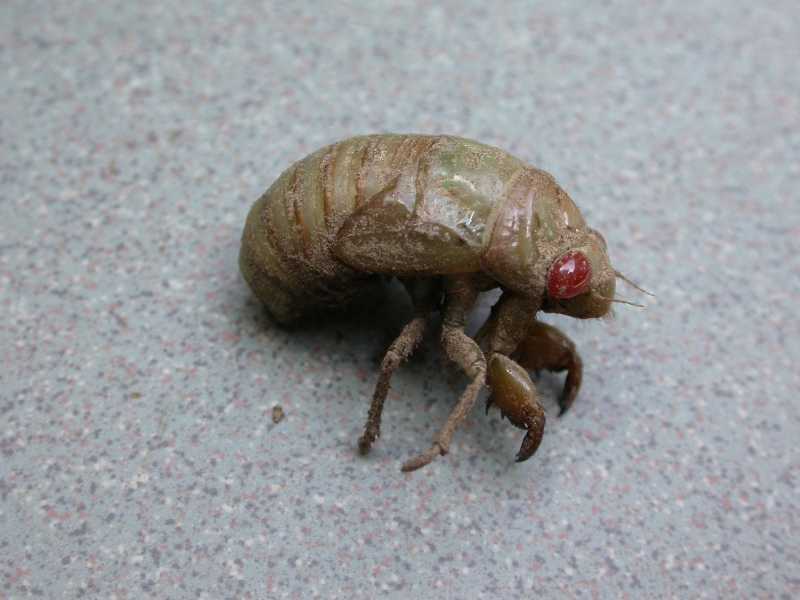 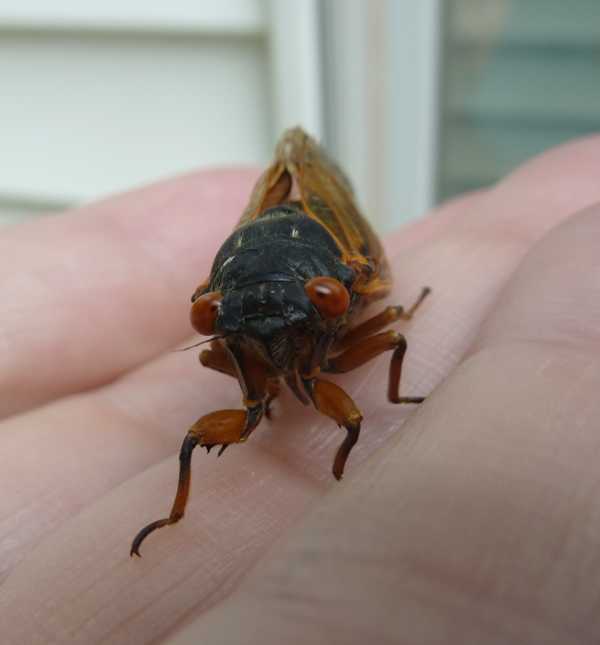 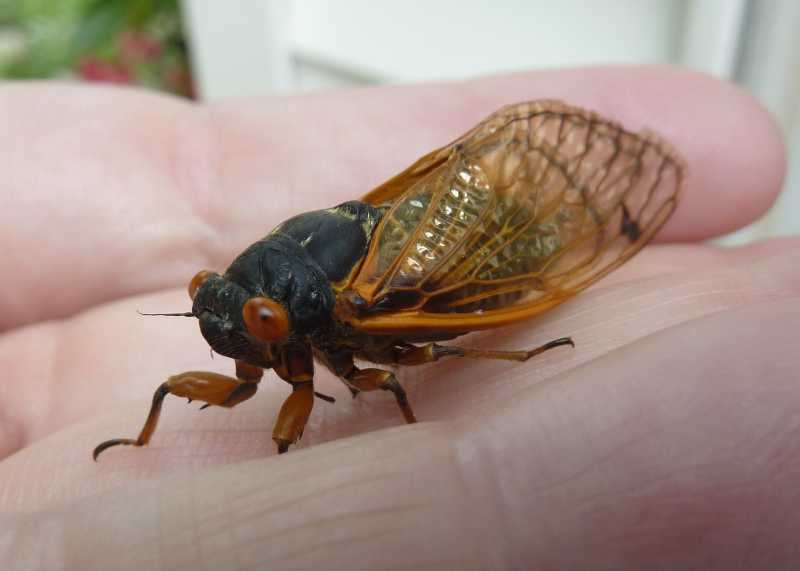 Cicadas are sizable, noisy insects with stout bodies, wide blunt heads, and large transparent wings. 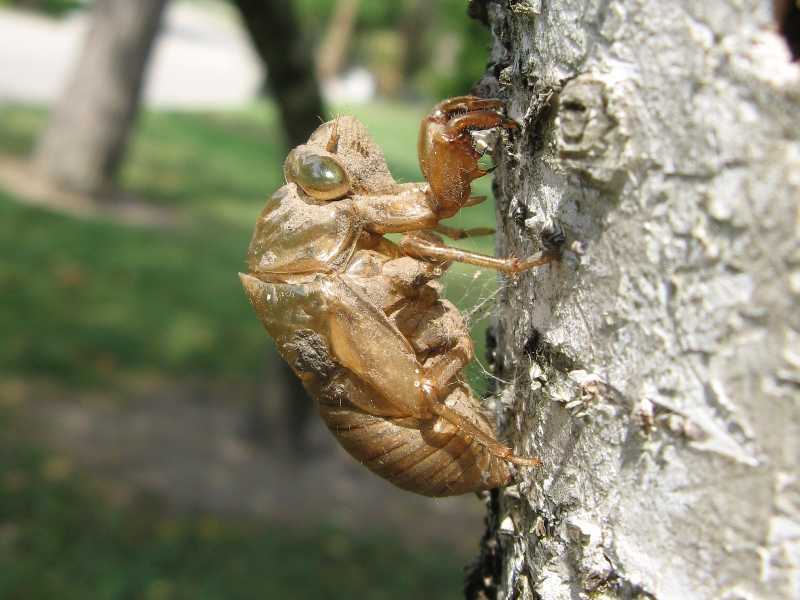 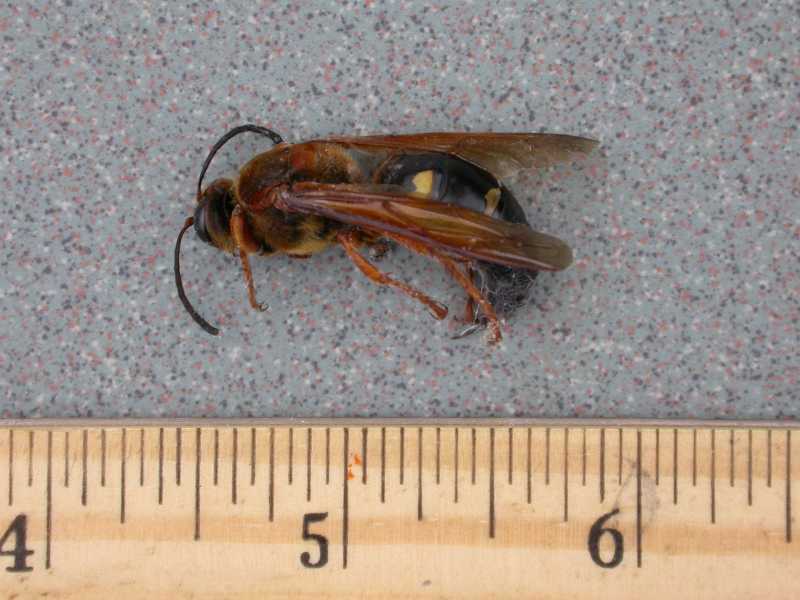 They emerge from the soil in mid to late summer, and spend much of their time thereafter in trees, where they molt and issue their sometimes startlingly loud mating calls. 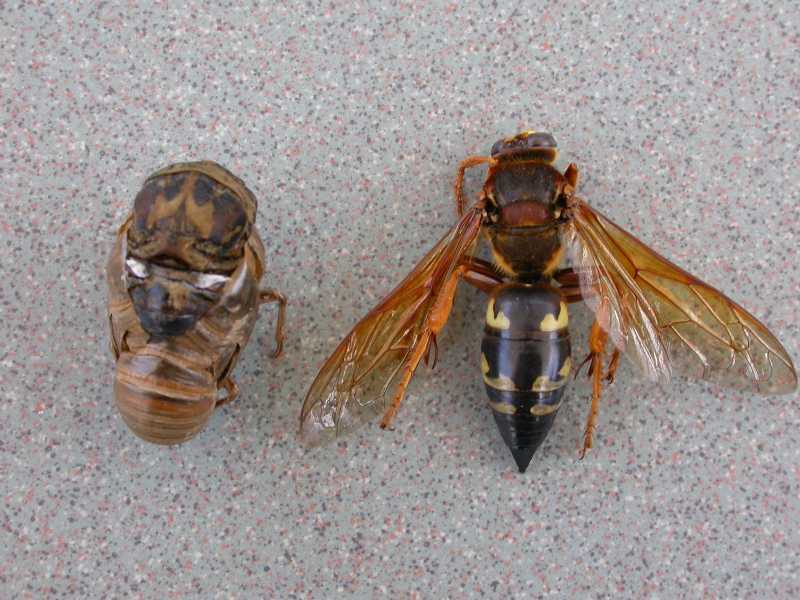 Some species' populations fluctuate cyclically. 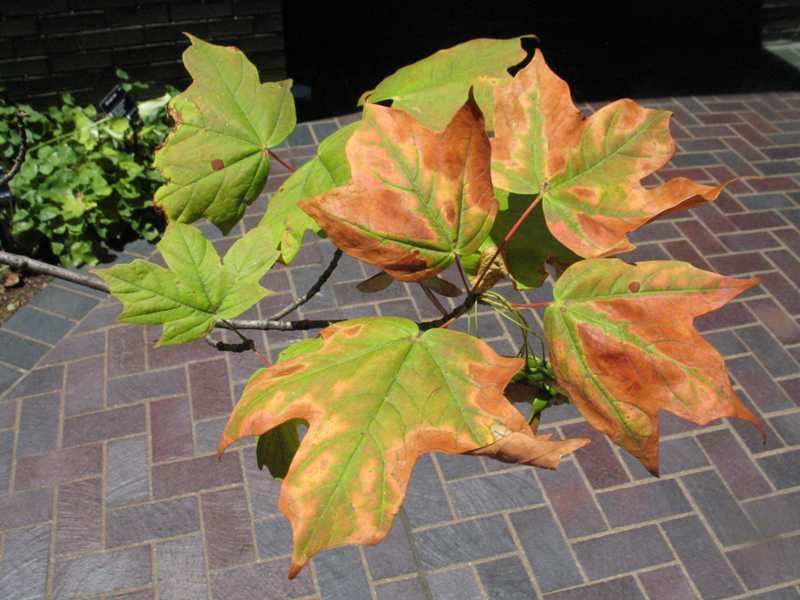 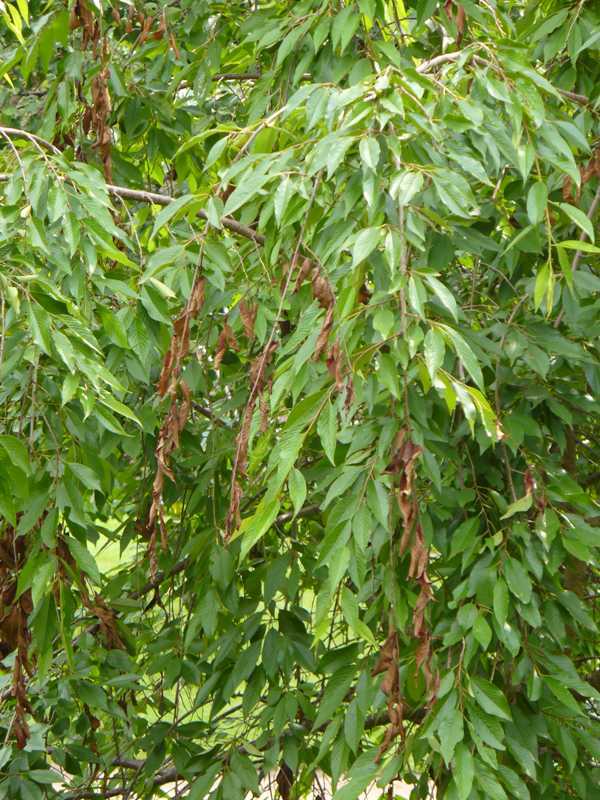 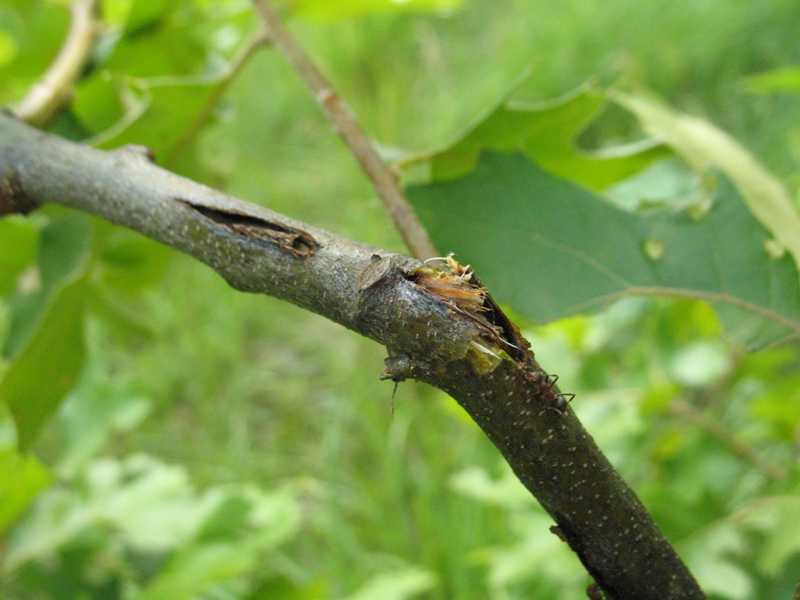 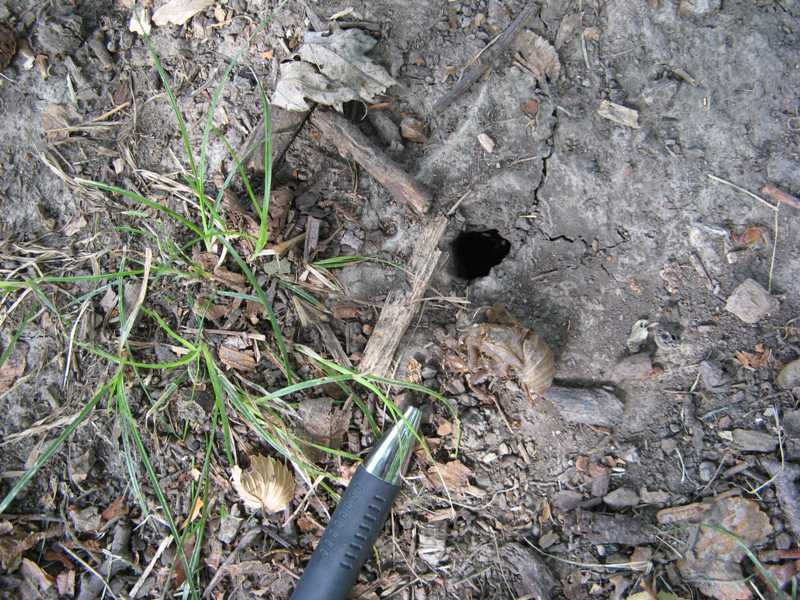 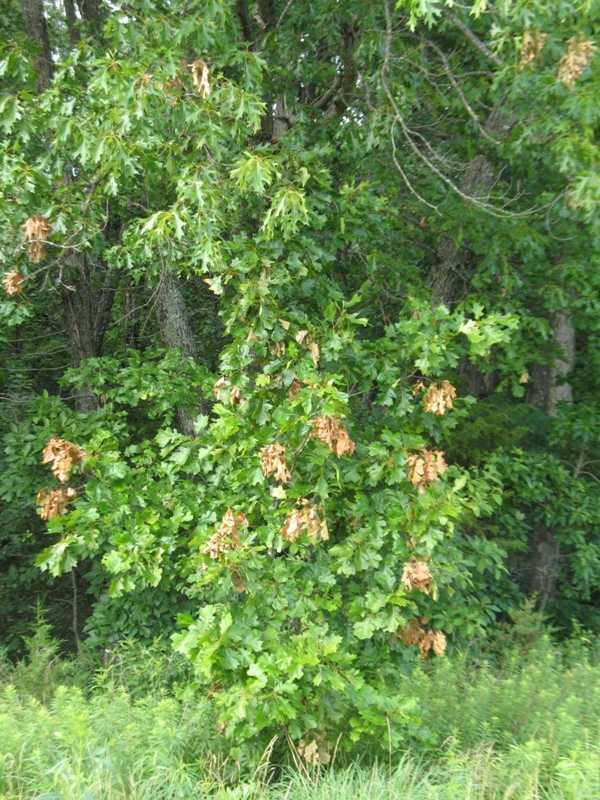 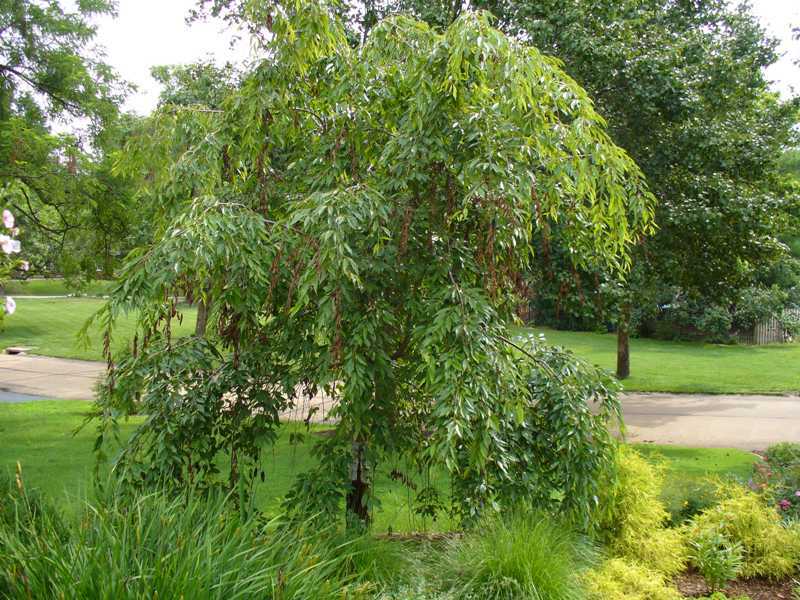 None cause serious damage to more mature trees in your yard and garden though small trees, especially young orchard trees, may suffer significant damage. 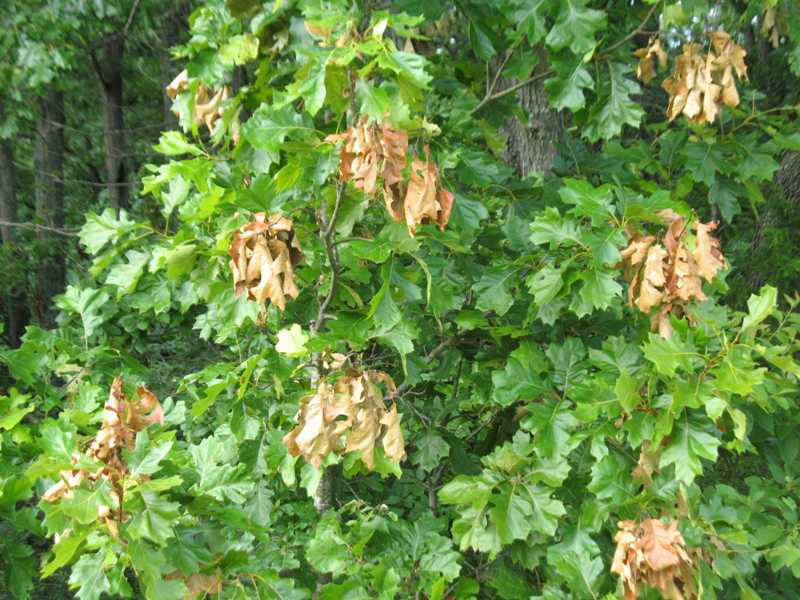 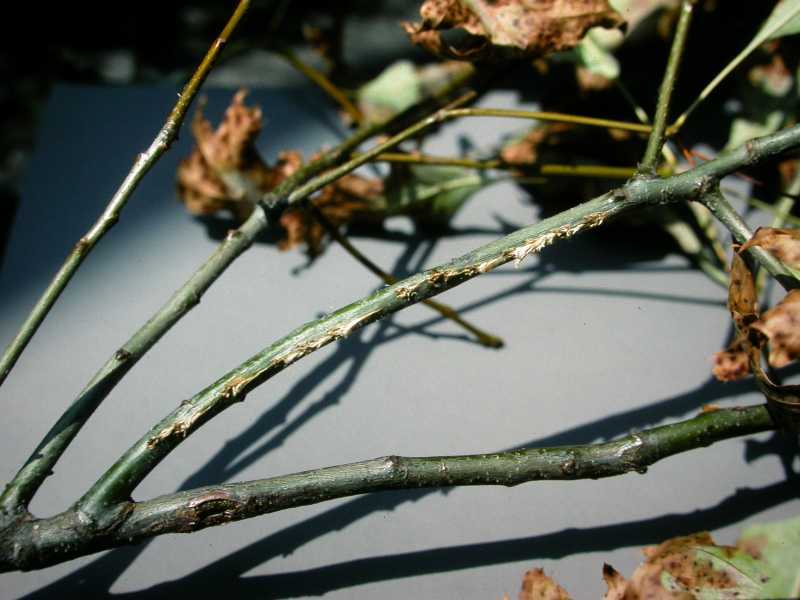 Dying twigs (flagging) on oak (Quercus) caused by egg laying of 13-year cicada (Hemiptera), also called ovipositor damage. 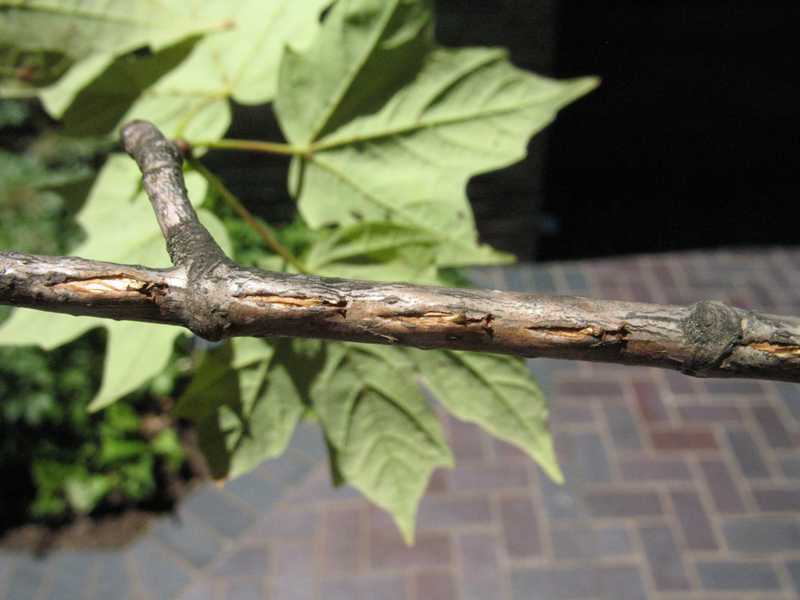 When a cicada (Hemiptera) lays her eggs, she inserts her ovipositor into the underside of a twig, like this oak twig (Quercus). 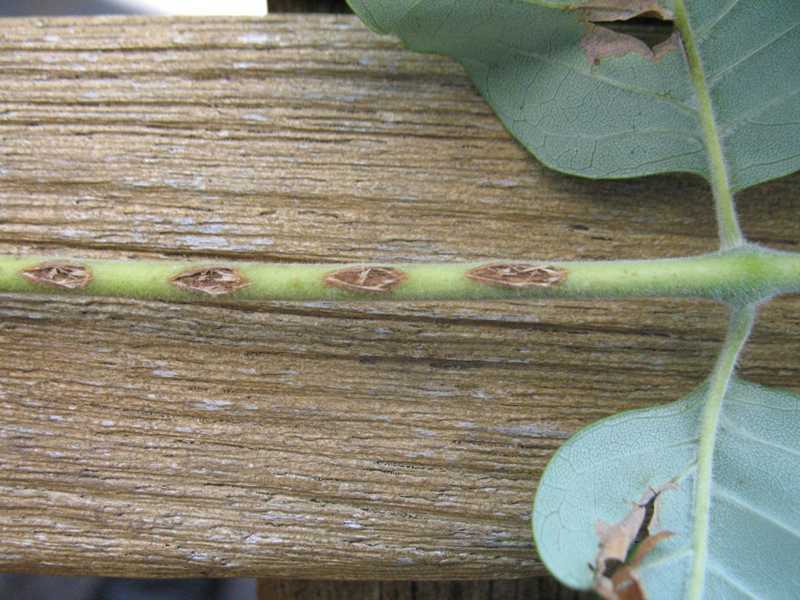 The damage can weaken to the point where it will snap, especially in a high wind. 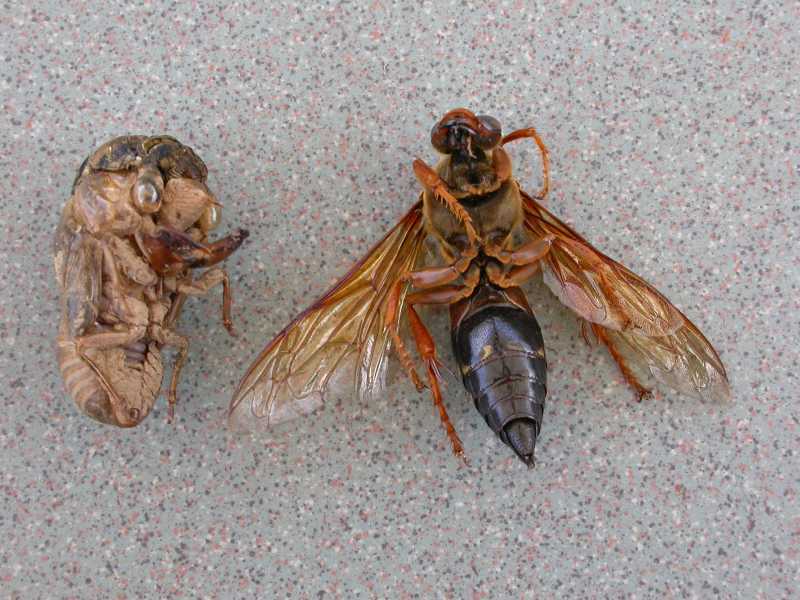 When a cicada (Hemiptera) lays her eggs, she inserts her ovipositor into the underside of a twig or, as in this case, the petiole of an ash leaf (Fraxinus), lays some eggs, takes a step, and does it again, making a very regular pattern.